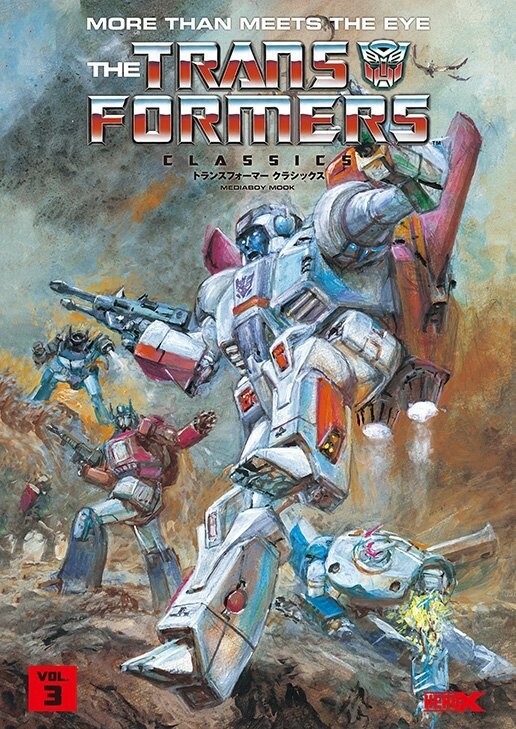 Thanks to fellow Seibertron users, Cyberpath and ScottyP, we've now learned of the existence of the third volume in the Japanese Transformers Classics series! Interestingly, the main focus on the cover is Jetfire, bearing his new Siege Commander Class design and wearing his con sigil. The other characters on the cover are Shockwave, Prowl (who appears a little worse for wear) and Optimus Prime. Do you have interest in this book? Let us know in the Energon Pub and stay tuned to Seibertron for all the latest news and reviews! snavej wrote: Reprints or something new? A new story could be considered classic?